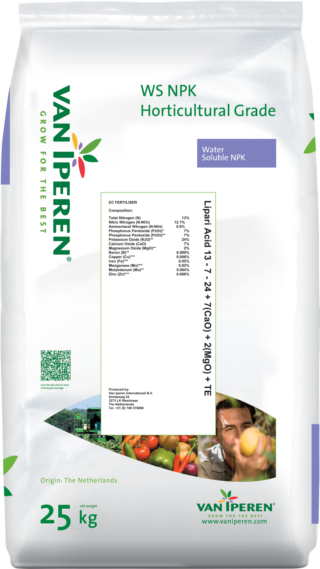 Van Iperen Lipari | 13 - 7 - 24 + 2MgO + 7CaO + TE is a pure WS NPK with a high level of Nitrogen and Potassium combined with EDTA chelated Micronutrients and Calcium. Our product has a limited caking sensitivity and is recommended as of early spring until fruit setting. It is a specific formula combining Calcium and Phosphate. Therefore, one tank is sufficient to apply all the nutrients needed. 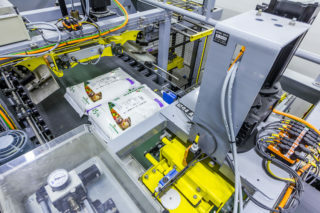 Produced in our own plant TTD.